The Gibraltar Heritage Trust is pleased to announce the recipients of this year’s Heritage Awards. This year, three group Heritage Awards, two individual Heritage Awards and three commendations were awarded. The first Group Heritage Award is awarded to The Arches in recognition of the restoration and redevelopment of ‘The Arches’ formally known as ‘The Gibraltar Police Barracks’. The building is a rare local example of neoclassical architecture with Tuscan order columns and arcaded arches. Designed in 1905 and constructed in 1908, its need came about as a result of Gibraltar becoming increasingly demilitarised and the local Police Force taking on more responsibilities, therefore also making the buildings symbolic of the community’s passage from military to civilian administration. The Gibraltar Police force was established in 1830 making it the second oldest police force in the World and the oldest Police Force in the Commonwealth. 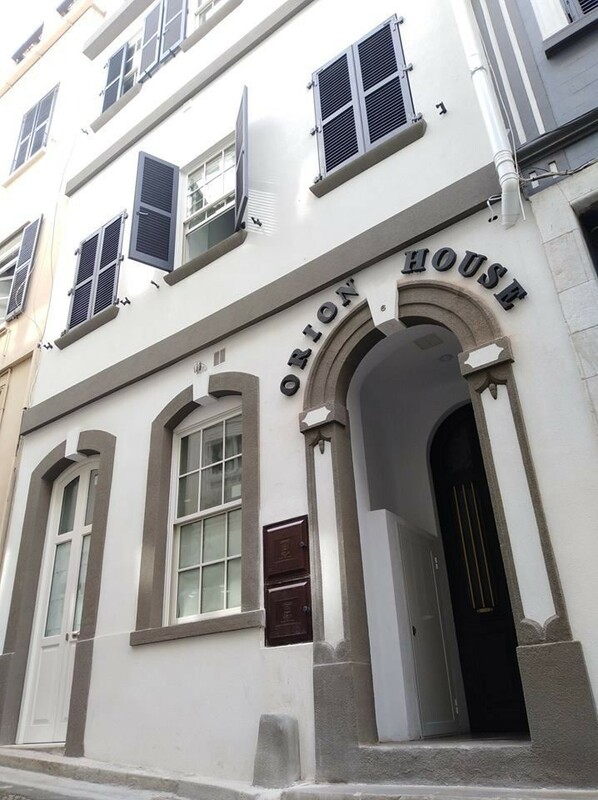 The Police Barracks was also a cultural hub within the Old Town and ensuring an accessible open forecourt is an investment in Gibraltar’s community and memory of the many families who lived and played in the complex. Although some elements of the original complex were lost in this redevelopment, namely E Block, the vast majority of the buildings, their character and elements have been retained. Additionally, and worthy of recognition is the investment of private capital in a large piece of real-estate in Gibraltar’s historic old town which brings with it regenerative aspects in a previously derelict area and inspires confidence in others to carry out similar projects. The Award will be accepted by developers CIMCO partners. The second Group Heritage Award is awarded to Plata Villa, for the building previously known as Old St Joseph’s School, Witham’s Road. 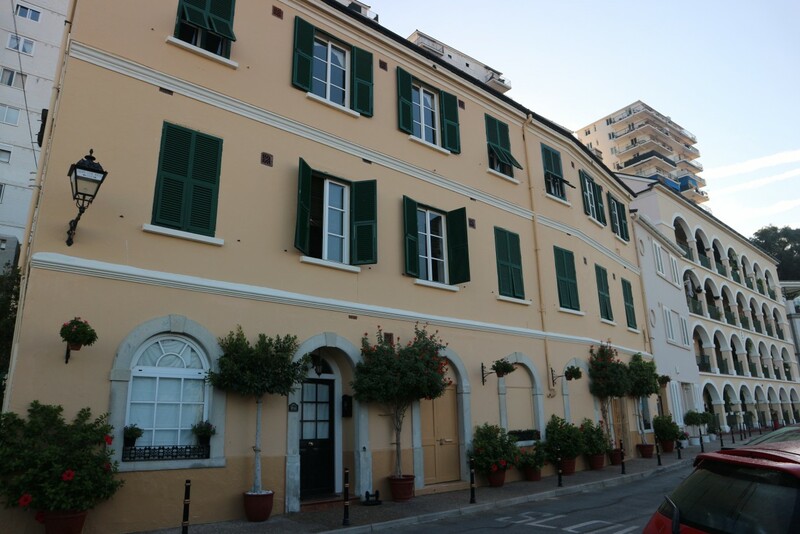 Originally a private home and then an orphanage, before becoming a school, this school building is of special importance as when Gibraltarian evacuees started to return to Gibraltar in 1944 it was opened especially to school those children returning to the Rock. An anecdote from this time is that in 1944 due to lack of supplies it is reported that teachers (who were from the RAF) used the backs of doors as black boards and there was a desperate need for text books. In 1945 the Christian Brothers took over the school and later the school structure changed with the arrival of the Loreto Nuns. The project has seen the demolition of later accretions to the building and the retention of its original form, the restoration of original ironwork, cleaning of stonework, a new pantiled roof and reinstallation of original Gibraltar vernacular features The building has been subdivided into 4 private flats and form the heart of the wider Plata Villa development. The Award will be accepted by the developers and contractors REAFINA Ltd. The third Group Heritage Award is awarded to MH Blands for the publication of ‘The Story of Gibraltar’ with Christopher Lloyd. 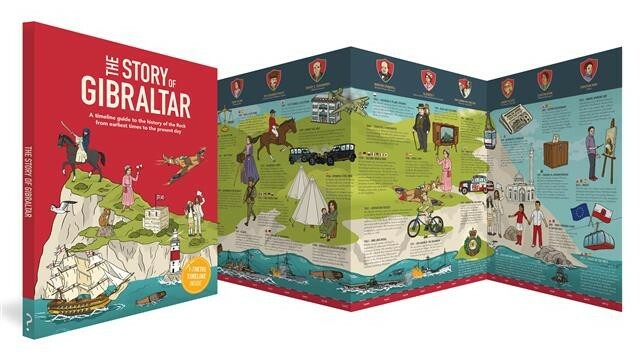 The book allows young readers to discover Gibraltar’s history from the earliest times to present day in a unique newspaper reporting format which includes a fold out timeline charting 100 key moments in the Rock’s extraordinary history. The book also includes 40 quiz questions, facts and figures about the Rock and its history. In addition, they have worked with the Alameda Gardens and set up a history trail discovery route for people to follow learning facts about Gibraltar as they go. 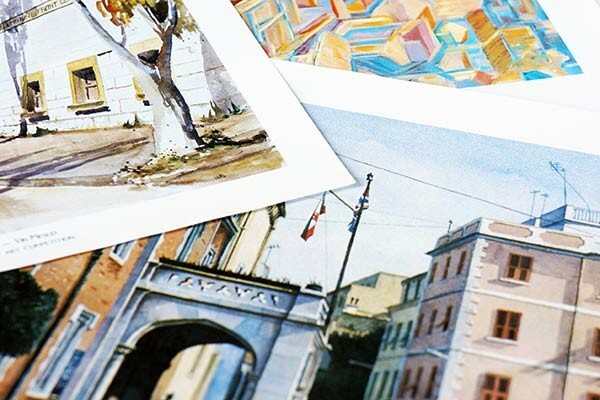 The publication sets a very high standard in both concept and design appearance and stands out on any Gibraltar Bookshelf. The first Individual Heritage Award is awarded to local buisness James Sanguinetti & Son. The business has been restoring furniture since 1870 resulting in three generations handling and learning the trade. Restorations of local furniture and antiques include gilded frames, pianos, Grandfather Clocks and mirrors. The Business has also worked on larger items of local heritage such as The Hackney Carriage in the Museum, the Crest of the Supreme Court dated early 1800s, cannon tampions, furniture which is still used today at the House of Assembly, ecclesiastical items and the Governor’s dining table amongst many more. The existence of the business and the standard of their work has meant that many items have been repaired and reused locally, keeping our heritage alive in many ways. The second Individual Heritage Award is awarded to Grape Vine House, at 23 Naval Hospital Road, owned by Gil Podesta. 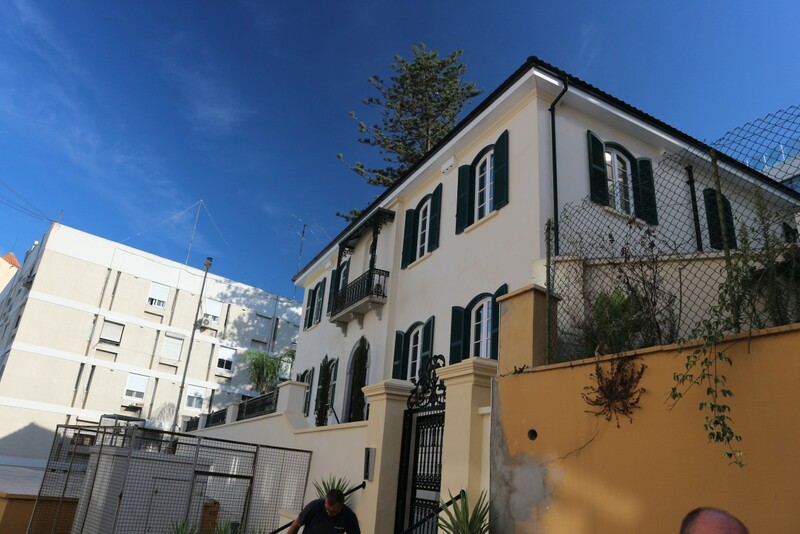 This Gibraltar vernacular property has been beautifully restored over decades by Mr Podesta from a near derelict state. 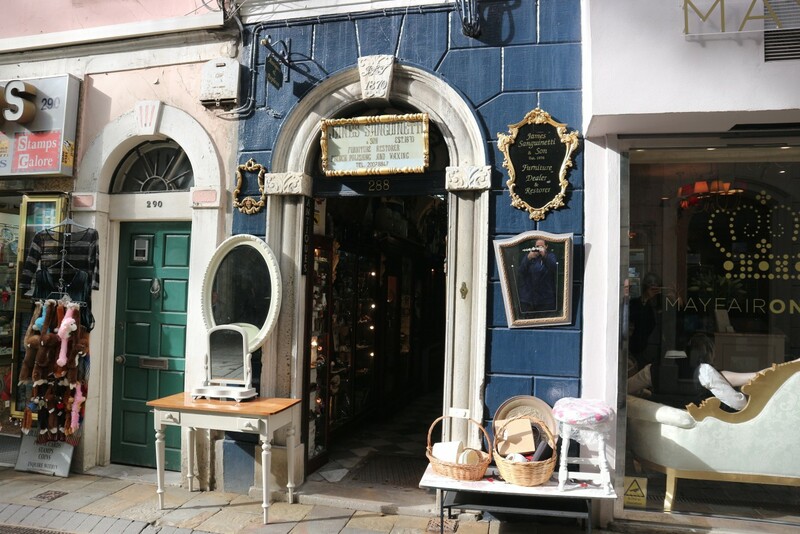 There are many historical items and curiosities salvaged from around Gibraltar that Mr Podesta has refurbished and incorporated in the building, from tiles to doors to ironmongery, furniture items and installations. Such features are shared with the community for example an old water pump on the side of the building with an interpretation plaque for many to learn from and a recently installed tiled mural with a reconstruction of the area in the early 1900s. Mr Podesta and his family are always keen to share the importance and history of all these items with their neighbours and passers-by with infectious enthusiasm. The first Special Commendation is awarded to George Valarino for his publication ‘This is Gibraltar’. George Valarino, the former head of GBC’s, book reflects on 60 years of broadcasting history on the Rock. 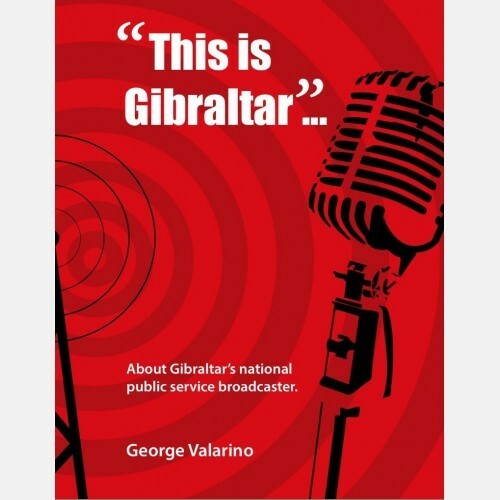 The book’s title were the first three words broadcasted over Radio Gibraltar back in 1958 and it chronicles the development of broadcasting in Gibraltar, ranging from WWII when broadcasting was run by the Ministry of Information in the UK to the many services provided today in Gibraltar. The book is illustrated with historical photos of seminal moments in broadcasting locally as well as a range of images from popular TV shows that the station produced and aired. The second Special Commendation is awarded to Orion House, George’s Lane. 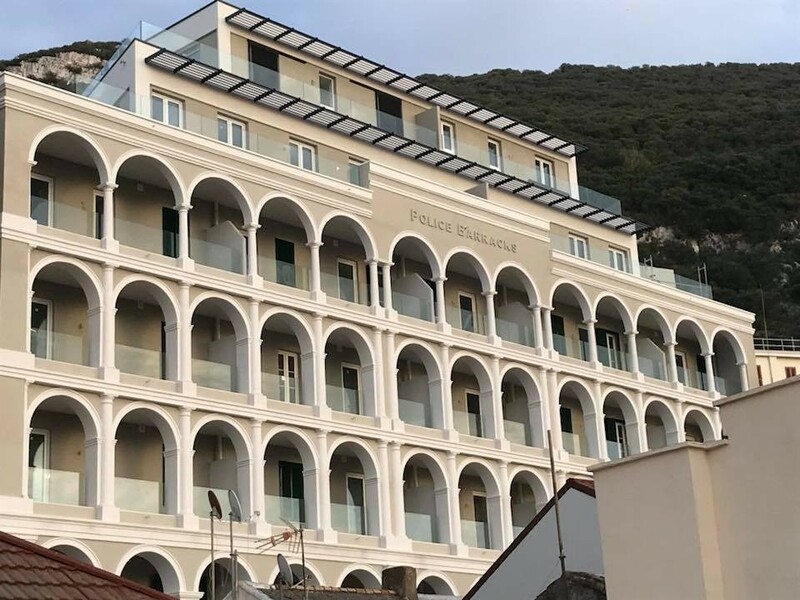 For the restoration of a Gibraltarian Town House, which has been converted into 4 apartments and retaining a retail outlet on the ground floor. The property has retained and restored a number of vernacular elements such as its traditional tiled entrance hallway, restored stairway and balustrades and a sympathetic restoration of the façade including a sympathetic extension to the roof. The third Special Commendation is awarded to Justin Bautista for the creation and publication of a series recipe books under the brand of ‘Mama Lotties’. Mama Lotties was founded in 2012 by Justin Bautista as a method of sharing recipes that come from Gibraltar. Recipes which are inspired by the cultural melting pot that is its people and share them with the world. The recipes are free on the Mama Lotties website and accessible to all, whilst they are also available to purchase in the form of 3 volumes of recipe books. The concept of food sharing and local recipes and ingredients is very popular all over the world and Justin has brought that to the local market. Additionally GBC had produced 4 series of cooking show with Justin, the latest ‘Mama Lotties Good Food, Good Mood’ ending just recently. Justin is continually learning, adapting and aims to bring fun back into the kitchen and make cooking fun for younger generations. 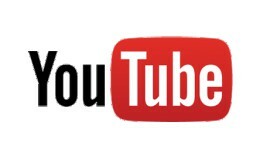 Photographs of the evening available here.